Selling to and supporting specialty coffee roasters in 40 different countries. 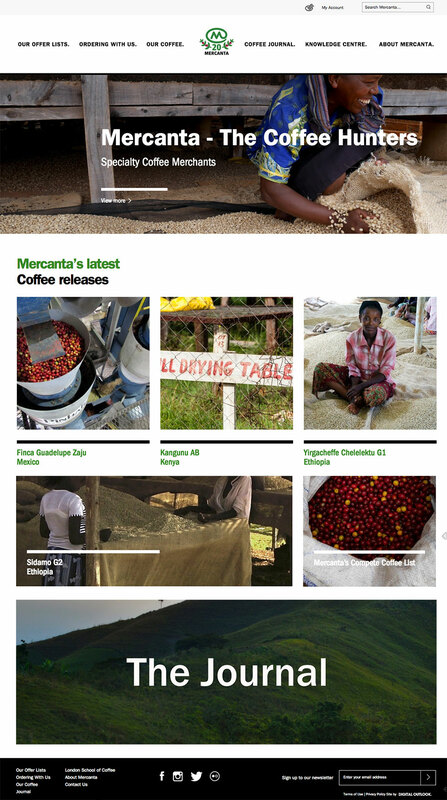 Mercanta supplies specialty roasters globally with the very best green coffee beans, sourcing coffees from 20 producing countries and distributing to customers via four warehouses located on three different continents. 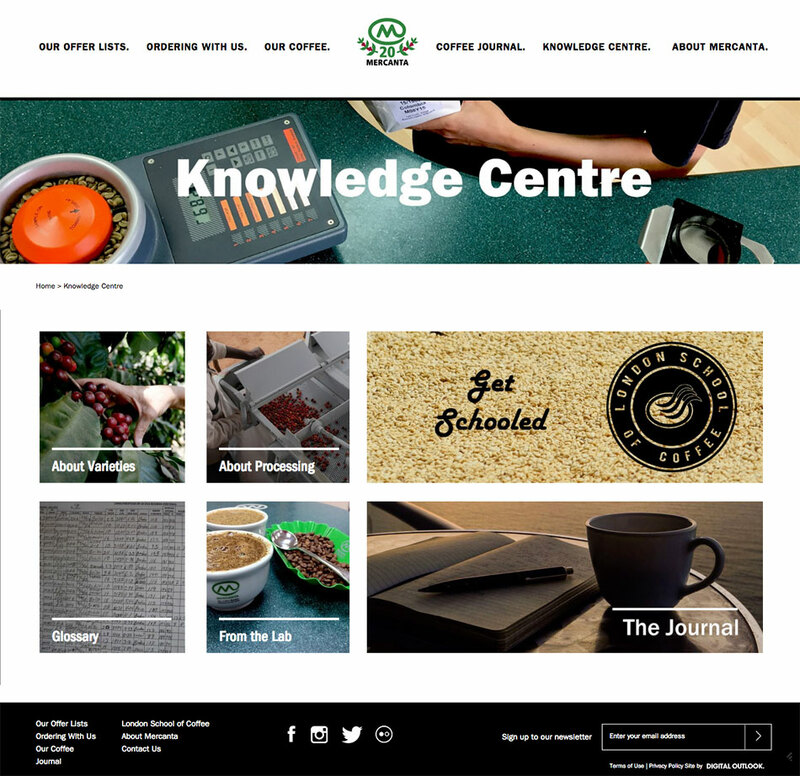 The Coffee Hunter website is the most critical marketing channel for the company, attracting new customers and promoting the latest releases and new sourcing regions. 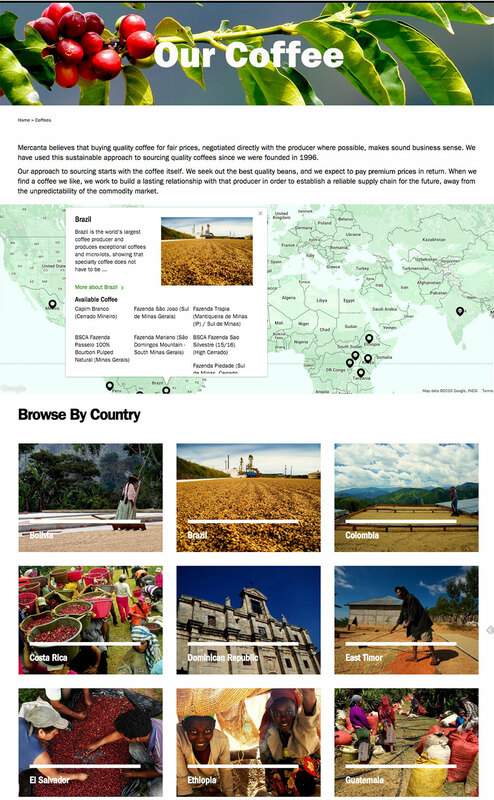 A visually rich online experience was created that showcases the global reach of Mercanta’s producing countries and provides comprehensive access to all sourced coffees that are either Afloat, In Stock or Archived. 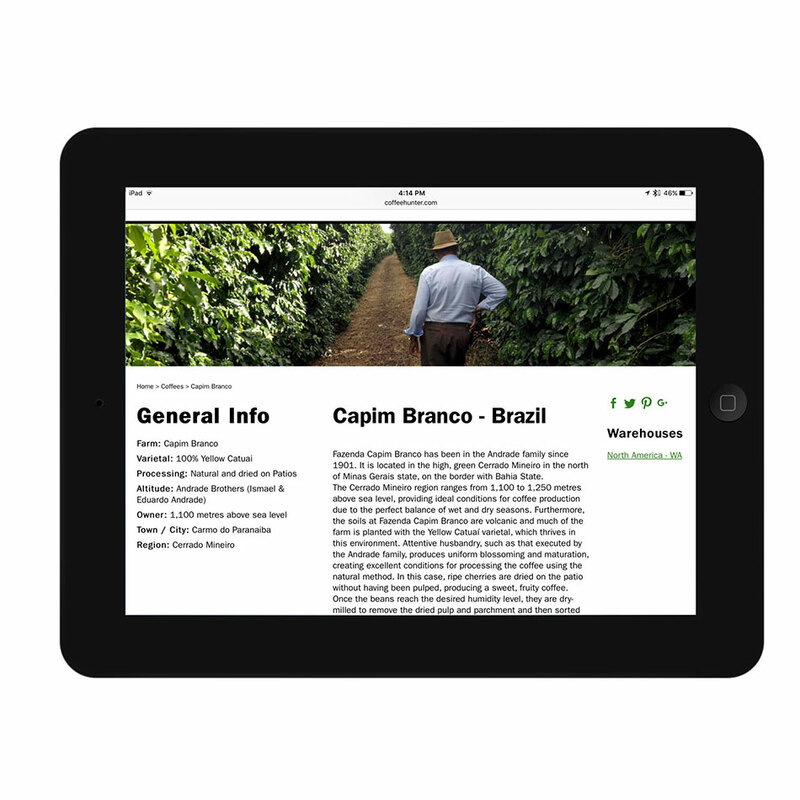 Design and content now supports Mercanta’s positioning as the highest quality ‘coffee hunter’ and accurately reflects the long term relationships established with suppliers.